For the last three decades, organizations like Mothers Against Drunk Driving have been working tirelessly to attack the crisis of drunk driving, which in 2010 killed more than 10,000 people. Since then, drunk driving fatalities have been cut in half. 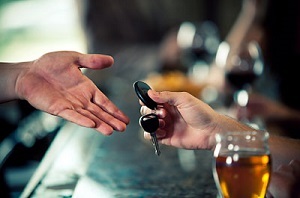 However, drunk driving still accounts for almost one-third of all traffic deaths. Uber Technologies has now introduced itself as part of the solution. Uber’s app connects users with safe, reliable car transportation at the touch of a button, ensuring that people never have to get behind the wheel drunk. A sober and safe ride available on demand is now possible. Uber Technologies is giving parents the chance a ride to and from date night, and their babysitter a ride to and from their house all from their phone. Despite only recently being introduced into the marketplace, Uber has made a significant impact on drunk driving. According to analysts from the technology company, DUI in-fractions in Seattle decreased by more than 10% after Uber introduced their services to the city. Representatives from the company stated that they have no reason to believe this sort of change isn’t happening in cities around the world. Uber Technologies isn’t the only company that is dedicated to solving the drunk driving problem. Engineers at the Military University of Technology in Warsaw are developing a new laser breathalyzer for drive-by DUI enforcement. So far, testing has been remarkably successful. By using this tool, law enforcement could identify intoxicated drivers by remotely sensing alcoholic vapor in the cars as they pass through a laser trap. Alcohol has an absorption band around 3390 nm, and water vapor is around 3000 nm. The team then choose to utilize a 3.390 nm He-Ne laser to see the alcohol, and a 1.5 nm diode reference beam to differentiate it from water. The problem with trying to peek inside car windows to acquire a sample of air is that all windows differ in thickness. The team solved this issue with the addition of a third beam at 1.3 nm, and for visibility purposes, a fourth beam in the visible spectrum so they could see what the technology is doing. All four beams were merged into one via a special mirror, and then the beam was separat-ed into pulses to synchronize detection and increase accuracy. The team has submitted a research paper of their findings for peer review. They are await-ing for feedback and funding. A major concern is whether the detector will flag down cars for perfumes, mouthwashes, or for just because the owner seldom lowers down their windows. But, if the technology is accepted by investors and governments, it is hypothesized to drastically reduce the amount of drunk driving accidents.